LAN is to introduce its new fleet of Boeing 787-9 Dreamliners on to a series of long-haul routes over the next few months. The Chilean carrier, which is part of LATAM Airlines Group, received its first 787-9 last month when it began services from Santiago to Lima and Los Angeles. LAN will receive six 787-9 aircraft in 2015, which it plans to “gradually” introduce on routes from Santiago to New York, Madrid, Frankfurt, Auckland, Sydney and Easter Island throughout the rest of this year. 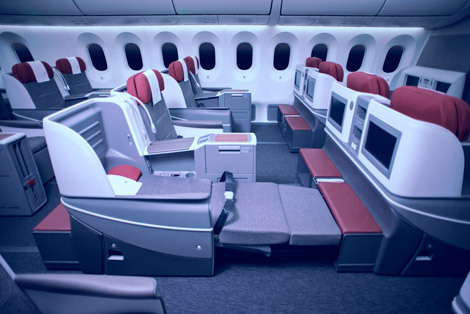 The airline’s configuration for the 787-9 will carry a total of 313 passengers – 283 in economy and 30 in business class. It is also the first long-haul LAN aircraft to use the new “unified” cabin design being introduced across all wide-bodied aircraft within the LATAM Group, including sister carrier TAM. LAN currently has 32 aircraft on order from Boeing including 14 787-9s – an increase of four Dreamliners on the original order made in 2007 – all of which will be delivered within two years. The arrival of the 787-9 makes LAN the only carrier in Latin America to operate both 787 models.